Backed by our rich industry experience, we are also engaged in offering an exceptional range of Wooden Paper Bin to our customers. The offered products are designed by our professional designers to meet the quality standards. These products are offered to out distinguished customers at market leading prices. 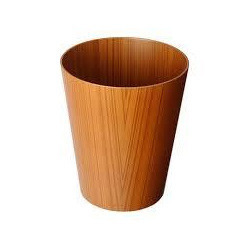 We are offering Bamboo Wicker Dust Bin to oue clients. To furnish the diverse requirements of our clients in the best possible manner we are involved in offering an extensive range of bin table wooden. Providing the highest quality of storage boxes and Wooden Bin with Ash Tray at competitive pricing for our ever increasing customers. These agricultural products are rugged, constructed with rounded interior edges and with base for additional protection. 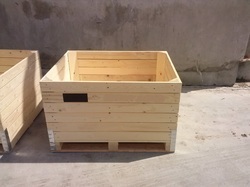 We are the leading entity of a wide range of Skid Wooden Bins.